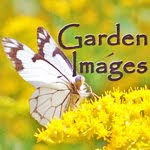 MudBay Musings: Reuse, Repurpose, Re-Enjoy! 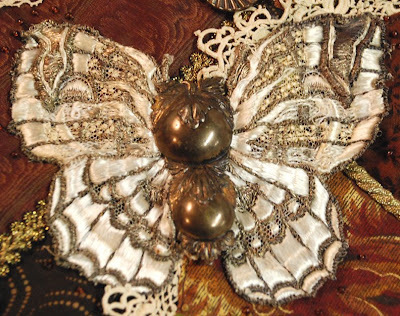 A butterfly appliqué from my great, great aunt Nellie’s dressing gown, coupled with one of her shoe ornaments, gives its aged,tattered body a new, plump physique. 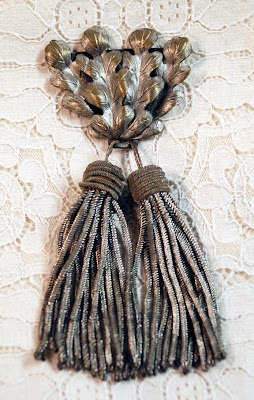 Half of a buckle from my grandmother Virginia now swings and sways with the addition of two antique metallic tassels. 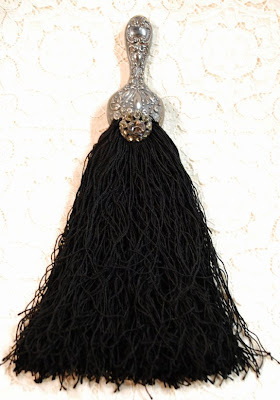 A sterling table broom now is elegant again with its crumbled broom replaced by fringe from a dilapidated silk shawl, embellished with a button from my great-grandmother Marie. 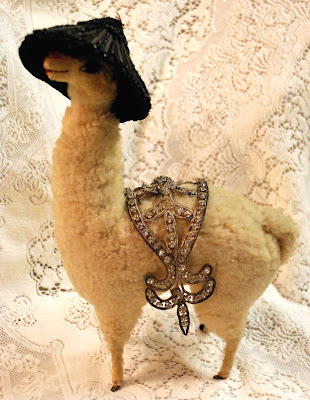 And what silly, wooly llama wouldn’t love her own black Victorian hat made from a strategic portion of a dancer’s costume, along with her own antique dress ornament saddle? What items do you re-enjoy? I love vintage costume jewelry. 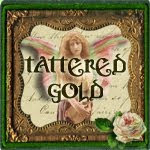 Their ornate, sometimes brilliantly sparkling presence on neck, ear or arm, create a kind of presence. When I find these things jumbled together at the second hand store, I lovingly sort them out and use them for sparkle dangles for my garden, or to adorn clothing, purses, and shoe. I often make jewelry from the old things I find--and it is beautiful! 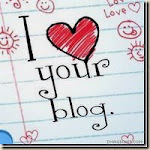 Thank you for sharing these lovely things. 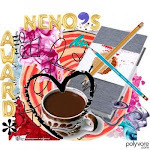 ((hugs)) You are such a wonderful writer and artist. Cathy, these are such wonderful treasures. I love how you've repurposed them...I'm sure Great Aunt Nellie and Great Grandmother Marie are smiling somewhere! What treasures... and you have repurposed them beautifully. I especially love the LLama!